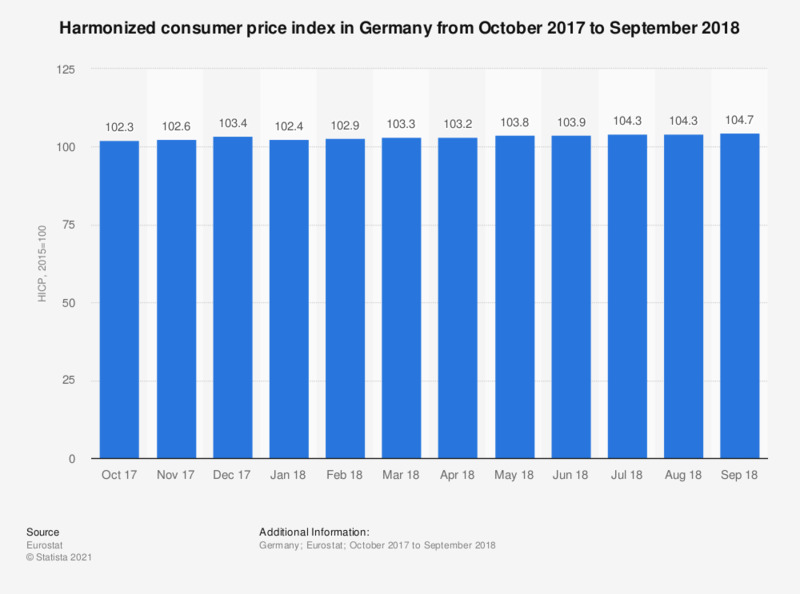 This statistic shows the harmonized consumer price index for all items in Germany from October 2017 to September 2018. In September 2018, the consumer price index for all items was 104.7 points. Harmonized indices of consumer prices (HICPs) give comparable measures of inflation for the countries and country groups they are produced. They are economic indicators that measure the change over time of the prices of consumer goods and services acquired by households i.e. they are a set of consumer price indices (CPIs) calculated according to a harmonised approach and a single set of definitions. Which attributes do you associate with products made in the European Union?